Available in sizes to fit your sport coupe, sedan, SUV or CUV, the economically-priced Haida HD921 offers a winning combination of performance and style. 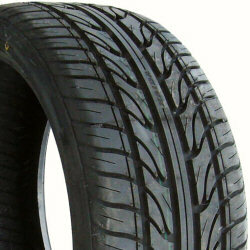 The directional tread is as functional as it is stylish, providing good traction in both wet and dry conditions. Four straight longitudinal grooves with long, sweeping lateral grooves improve water dispersion for reduced hydroplaning. The solid center rib provides enhanced steering response. Rim protection ridge helps to protect expensive wheels from curb damage. W and Y speed rated sizes available. The Haida HD921 is available in 17 through 24 inch wheel sizes 25-50 series aspect ratios.